Hi Everyone! 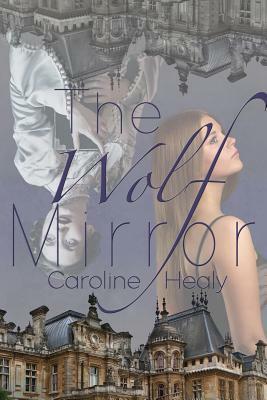 So as you can see, I am participating in Xpresso Blog Tour's tour for The Wolf Mirror. They have supplied me with a copy of this book in order to provide an honest review. Please note that this has not affected my opinion in any way. Changing places doesn't always help you see things differently. Cassie throws the first punch in a brawl at Winchester Abbey Girl's School. Her subsequent suspension is a glitch in Cassie's master plan; Finish School/Get Job/Leave Home (and never come back). As punishment her mother bashes her to Ludlow Park, their creepy ancestral home. In the dark of a stormy night Cassie finds herself transported to 1714, the beginning of the Georgian period. With the help of a lady's amid and an obnoxious gentleman, Mr Charles Stafford, Cassie must unravel the mysterious illness afflicting Lord Miller. If Lord Miller kicks the bucket the house goes to Reginald Huxley, the brainless cousin from London. Cassie's task is to figure out who is poisoning the Lord of Ludlow without exposing herself to the ridicule of her peers, getting herself committed to the asylum or worse, married off to the first man who will have her. Cassie must learn to hold her tongue, keep her pride in check and reign her rebellious nature - because the fate of her entire family, for generations, rests on her shoulders. Meanwhile, Lady Cassandra Miller frantically searches fro her smelling salts or her trusted governess Miss Blythe, whose soothing advice she would dearly love. Instead Cassandra finds some woman and a boy squatting in the Ludlow mansion; her father, her lady's maid and all of the servants have magically disappeared. Tell-a-visoion, the In-her-net, horseless carries and women wearing pantaloons; Cassandra is afraid that might have inhaled fowl air causing her to temporarily lose her senses. Only when both girls can get over their pride, societal prejudices and self-important will they be able to return to their rightful century. Until then, they are free to wreak maximum damage in their respective centuries. I cannot wait to get into this book. I have no idea what this book will be about mainly because I wanted to go into it as blind as possible. All I know is that it looks extremely interesting and I cannot wait to start it. Thank you to Xpresso Book Tours for providing me with a copy of both of the books. Please note that in no way has receiving this book affected my opinion. All thoughts are my own. The story is well written and I found the writing in this book quite enjoyable. I found myself flying through the words and pages of this book. The sentences flowed quite nicely as well. The chapters were so nice and short that it felt like I was flying through the book even though I wasn't. The writing was also simple in terms of diction as there weren't any big and complicated words. This book started off with a bang. I absolutely loved it. We were just thrown into the story but at the same time, I feel as though the synopsis/blurb gives away a lot of the beginning. I found that this book started quite quickly and we immediately found ourselves emerged in this stage phenomena. I thought that this book was quite interesting especially with the mystery behind the poisoning. I didn't quite connect with the characters in this book as I had hoped that I would. Whilst I was excited to see how the story affected them, I didn't care as much as I would have if this was another book. Unfortunately, I have no idea as to why I didn't connect with these characters because they had some of my favourite characteristics that I generally enjoy reading about. 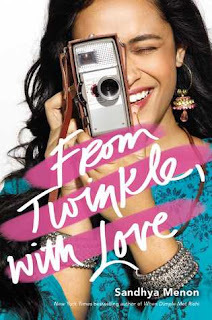 Overall, I enjoyed this book, I wasn't too sure how I would find it but I am really glad that I liked it. I hope that we might maybe get a follow up novel to this book! But if not I am pleased with how the story had unfolded. I definitely recommend this to people who like romance and historical books. I definitely found the Georgian period quite interesting. Caroline Healy is a writer and community arts facilitator. She recently completed her M.A. in Creative Writing at the Seamus Heaney Centre, Queens University. She alternates her time between procrastination and making art. In 2012 her award winning short story collection A Stitch in Time was published by Doire Press. 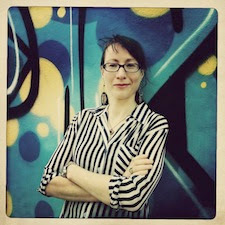 Fiction and commentary has been featured in publications across Ireland, the U.k. and more recently in the U.S. Caroline's work can be found in journals such as Wordless, The Behemoth, Short Store Ireland, Short Stop U.K., Five Stop Story, Prole, Literary Orphans and the Irish Writers' Centre Lonely Voice. Her debut Y.A. novel, Blood Entwines was published by Bloomsbury Spark in August 2014 and she is in the process of writing the second book in the series, Blood Betrayal, as wells as a short story collection, The House of Water. She has a fondness for dark chocolate, cups of tea and winter woolies.